Swims With Seals: Where Have All The Whales Gone? Where Have All The Whales Gone? This past summer was a dramatic tale of two completely different coastlines. Here on the West Coast the declining southern killer whale population dominated the news with first L-92, aka Crewser, a 23 year old male dying in June, then in August one poor mother whale, J-35 was filmed pushing her dead baby around for more than 2 weeks in a heartbreaking effort to stop her from sinking, and finally we all watched in September as another whale, J-50 slowly succumbed to disease and starvation. The southern killer whale population hasn't had a successful birth in over 3 years now and has declined to just 74 individuals. The suspected causes of all this heartache include noise from tanker/freighter traffic, PCB's in the food chain, DDT from fertilizer run-off, and a lack of Chinook salmon, their main source of food. Chinook salmon are the largest species of Pacific salmon averaging 36" in length and 30 lbs in weight but they can get much bigger. 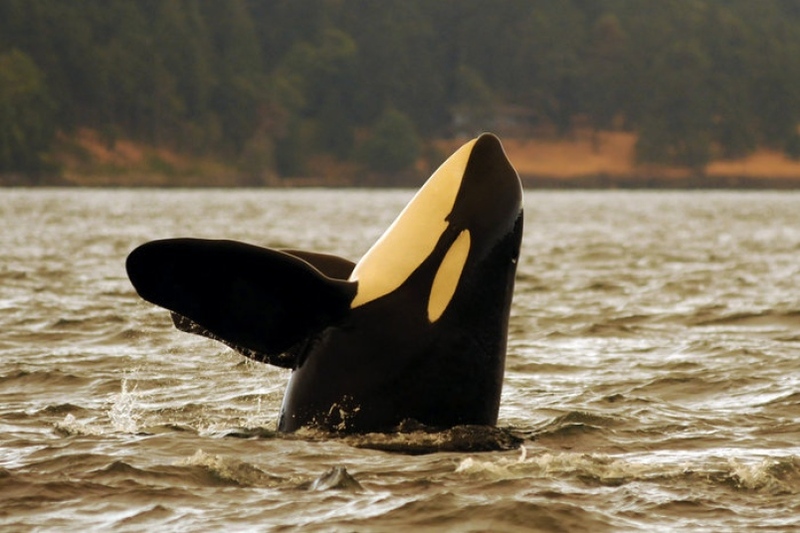 Because of their size they are the favoured prey of killer whales and are highly valued by sports fishermen. "There's no nooky like chinooky" is the saying, and the largest ever caught weighed 126 lbs. Native to the North Pacific and ranging from Alaska to California, Chinook are now in decline everywhere due to over fishing, loss of habitat, and poor ocean conditions. 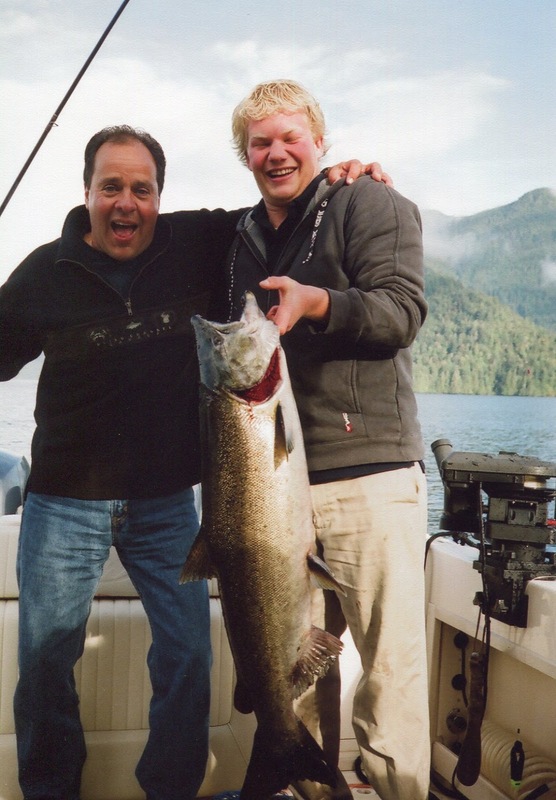 Chinook mainly spawn in large rivers such as the Yukon, Nass, Skeena, Fraser and Columbia and with both the Columbia and Yukon in a near collapse it leaves only a few rivers in B.C. to hold the fort. Last summer Alaska suspended both the commercial and recreational Chinook fishery to help protect the returning salmon yet B.C. kept its fishery open. 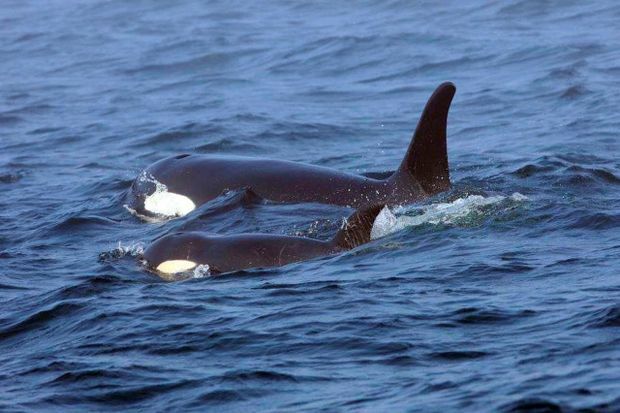 While the southern killer whale population is suffering the northern killer whale population is thriving. They don't seem to have any problem feeding themselves and the group has now grown to more than 300 which is 4 times the southern whale population. Eating on average 500 lbs per day this could involve a lot of Chinook salmon but both groups also eat chum salmon and herring. Strangely enough they don't eat sockeye salmon which is unfortunate because this year was predicted to be a huge run whereas the Chinook run was dismal. 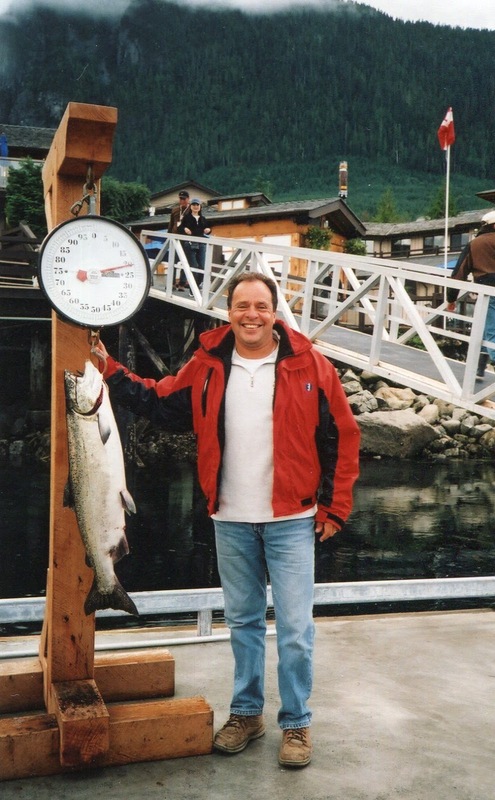 While the federal government instituted a 35% reduction in the allowable catch at the start of the season the returns are so low that many groups have argued for a complete ban on fishing in order to preserve all the Chinook salmon for the whales. Others, less informed, have also called for a cull of seals and sea lions which also compete for salmon. However Chinook aren't the primary food source for seals and sea lions and, if there really were too many of these creatures, the transient killer whale population would certainly keep them in check. 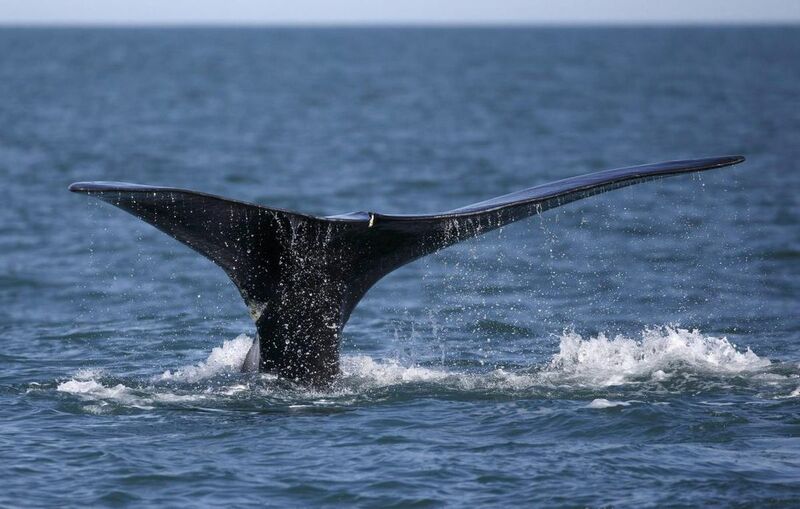 Meanwhile on the East Coast this summer there wasn't a single incident of a Right Whale being harmed in any way as opposed to last year when 18 of them were killed. 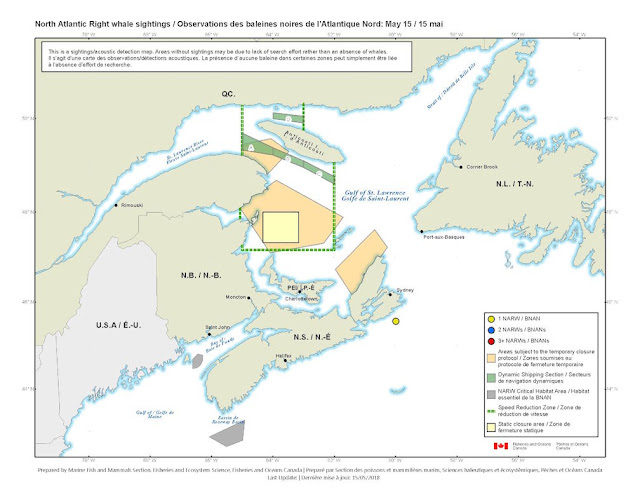 The changes to the crab fishing season meant all the fishing gear had to be out of the water before any whales arrived in the Gulf of St. Lawrence to avoid any entanglements, and slower speed limits for freighters and other commercial vessels in active shipping lanes managed to prevent any collisions. Enhanced whale monitoring efforts identified more than 135 individuals in Canadian waters this summer as compared to 114 last year so obviously they aren't starving either. While government efforts on the East Coast have had a dramatically positive effect on whale populations, in spite of objections from the fishing industry and others, the same commitment is obviously lacking on the West Coast. The fishing industry simply has too much influence and, while they are keen to harvest the salmon, they don't seem to be putting much effort into habitat enhancement or hatcheries. In spite of the southern killer whales being an endangered species it's coming down to a decision on which is worth more to the economy whale watching or fishing. After that question is answered we will then know where all the whales have gone.